Home » Exhibiting at Spring Fair! 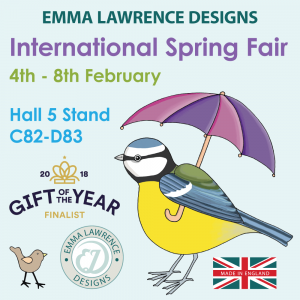 Exhibiting at the International Spring Fair at the NEC Birmingham on the 4th – 8th February 2018 with the Giftware Association and Buy-From Shropshire. looking forward to meeting existing customers and greeting new ones. Finalist – Gift of the Year 2018!